"On Tuesday of this week, Republican leaders in the House of Representatives took the first step in bringing Georgia’s voters a more secure, accessible, and transparent election system. 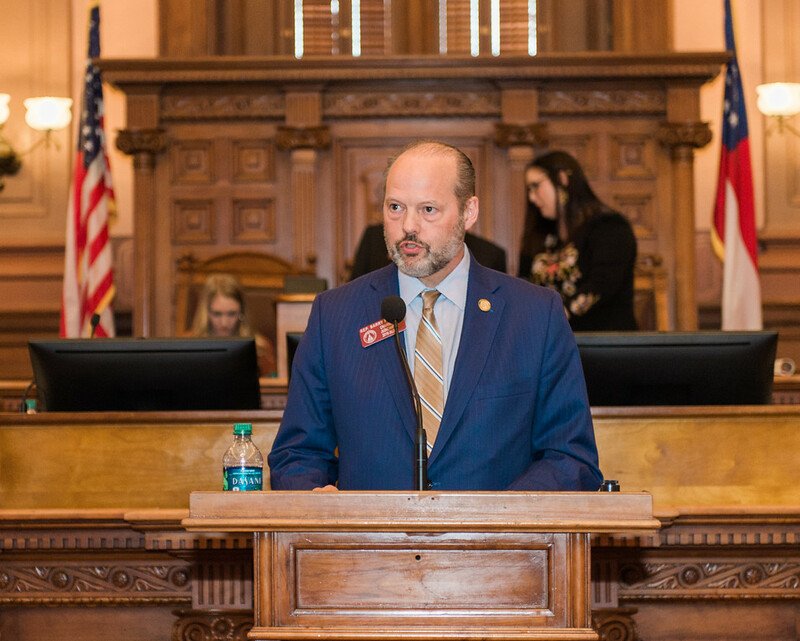 House Bill 316 (HB 316), which passed with bipartisan support, would update Georgia’s aging voting machines and introduce new reforms to expand access and ease of voting for registered, eligible voters." The picture above is of House Judiciary Chairman, Barry Fleming (R – Harlem), who authored HB316. The touchscreen-marked paper ballot system outlined in the bill is the only system that brings Georgia’s voters safe and accurate elections while also offering ease of use and the option to conduct post-election audits. This is a measure overwhelmingly supported by local officials (94% of Election Board Supervisors in Georgia) as well as the general public (79% of likely Georgia voters in a recent poll). Thanks to adjustable text size and large buttons, touchscreen ballot-markers are best situated to meet the needs of the handicapped and elderly, who comprise 12% of Georgia’s population and who may have trouble holding a pencil / pen or filling in small bubbles on paper. Moreover, retaining the touchscreen element that Georgia’s voters have used for close to two decades will significantly reduce confusion and promote continuity when the new system is implemented. A press release and memo released by the Georgia Secretary of State’s office yesterday states than an internal analysis reveals that a hand-marked ballot system could cost between $207 – $224 million over the next ten years. Most of the printing costs, shown as approximately $164 million in the memo, would fall to the counties to pay. The bill we passed is far less expensive and won’t burden the counties. This is a statement from an AJC article that I believe best sums up what was passed: Ballot-marking devices are a voting system that combines technology and paper ballots. Voters tap a touchscreen to make their selections, similar to the state’s current voting voting machines. The touchscreen is attached to a printer that spits out a paper ballot. Then voters could review and confirm their choices on the paper ballot before inserting the paper ballot into an optical scanning machine for tabulation. When the optical scanner receives the paper, this is the point when your vote is actually cast. These paper ballots can be used for audit / recount purposes. Senate Bill 25 fixes an error in the code pertaining to school bus passing. Unless a driver of a vehicle is driving on a divided highway separated by a grass median, unpaved area, or physical barrier, the driver must stop when a school bus is stopped on the opposite side of the highway. This bill, which passed the House and Senate unanimously last week, was signed into law by Governor Kemp on Friday. 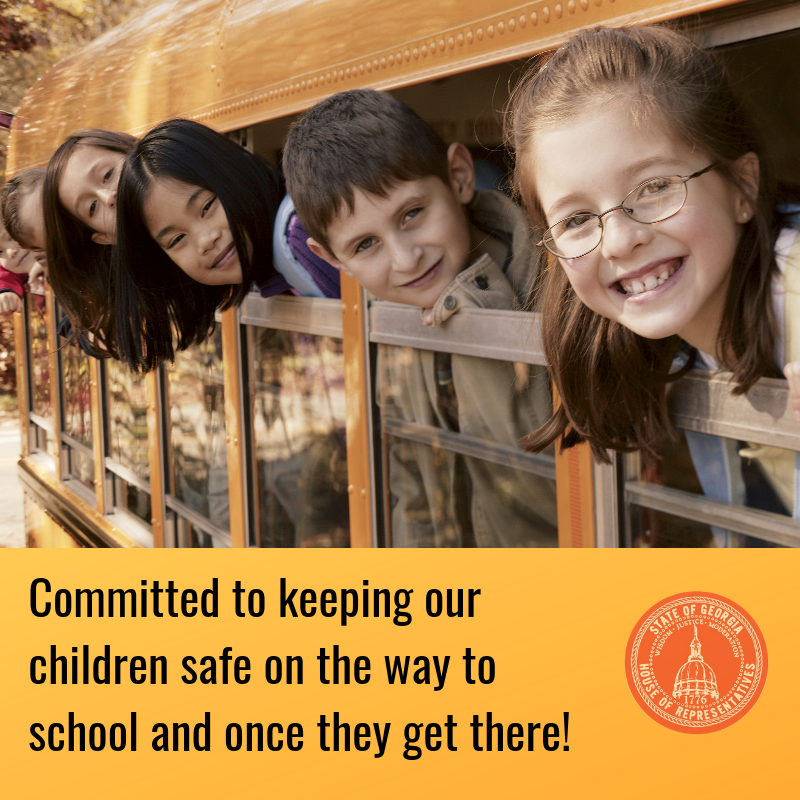 “This was a team effort – from the General Assembly, law enforcement, educators, and concerned citizens – to do the right thing and help save lives. As my first bill signed into law as Georgia’s 83rd Governor, SB25 shows that there are many important issues here at the State Capitol that we can all agree on. 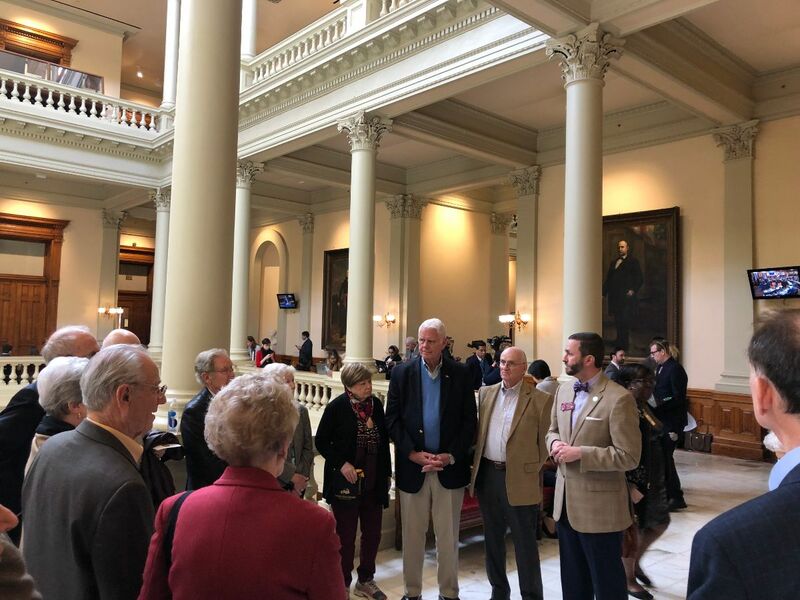 I hope SB25 serves as a model as we move through this legislative session, and in the coming years, of what Republicans and Democrats can accomplish together to keep Georgians safe,” said Governor Brian Kemp. 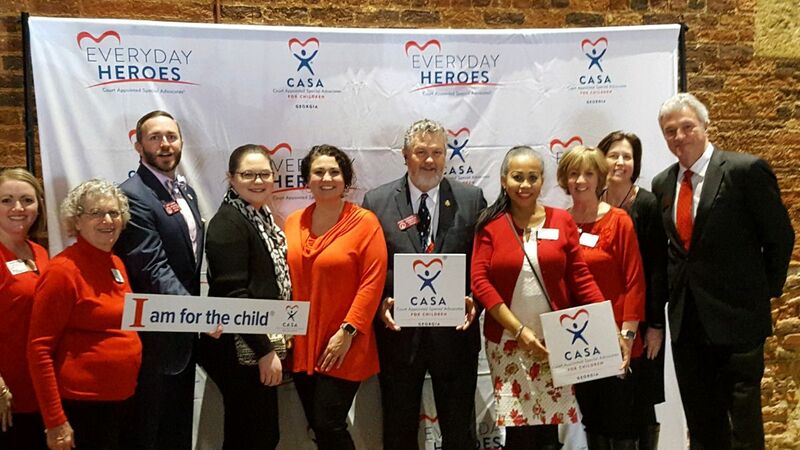 Members of Hall-Dawson CASA visited the Capitol last week and held their annual advocacy luncheon, where Gov. Kemp was able to join the group. Residents of Lanier Village Estates came to the Capitol this week to visit both the House and Senate Chambers. I had the pleasure of spending a few minutes speaking to their group about voting machines, taxes, school safety and other issues important to them. 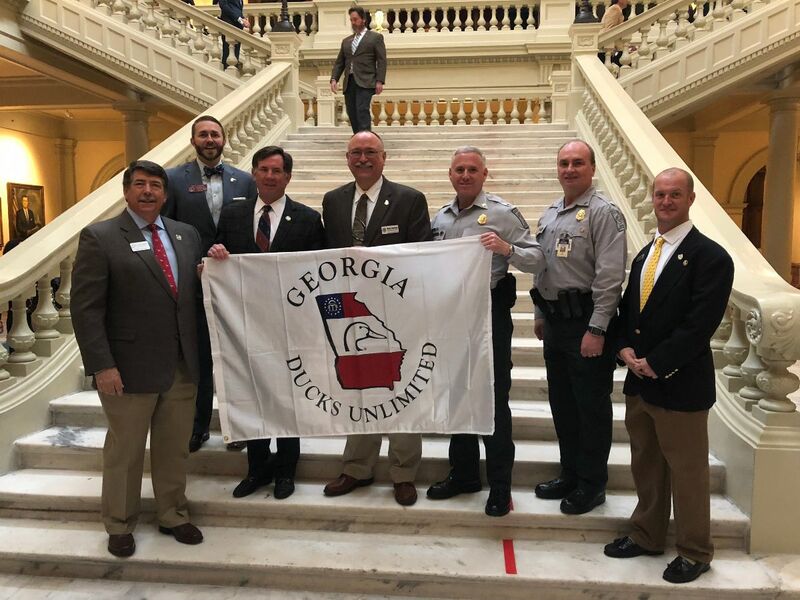 Tuesday was Conservation Day at the Capitol, and it was my honor to be joined by members of Georgia Ducks Unlimited (the world’s leader in wetlands conservation), Georgia Department of Natural Resources Commissioner Mark Williams, Georgia DNR Wildlife Resources Division Director Rusty Garrison, Georgia DNR Law Enforcement Colonel Thomas Barnard and Georgia DNR Law Enforcement Lieutenant Colonel Jeff Weaver as we celebrated the achievements of all conservationists across Georgia. 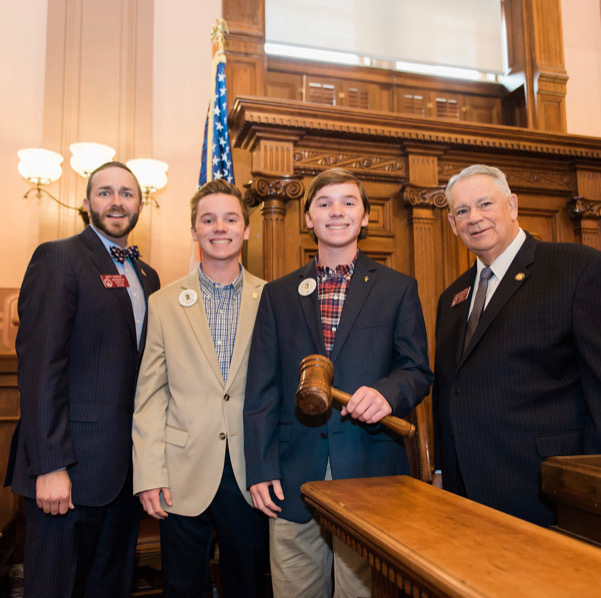 Really cool to have brothers Sam & Jake Holley serve as pages for me last week. Had a blast giving them a behind the scenes look at the House Chamber before their “official” duties for the day began.